I think most folks from SP knows about Red Pearl because it seems to be very popular. Everytime we go, it is always full and with some function going on. I can’t tell you exactly where it is except that it is in the new township and off the highway. That’s why whenever we go up North, we will drop by there for meals. The above is a dish that I tried for the first time. It is bayam (spinach) stir fried with white baits (the small ikan bilis), kei chee and pak kor. Very nice. I am going to try cooking that next time. 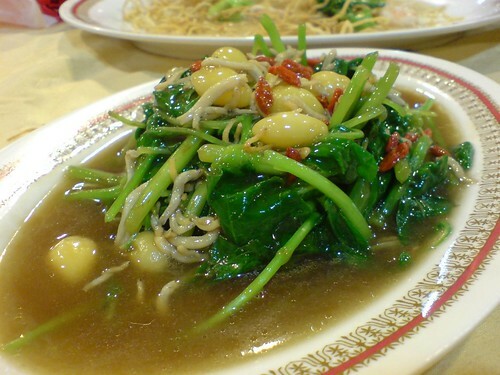 The spinach is very young and tender and the pak kor or gingko sort of lend the bite to the dish. Red Pearl serves a mixture of Thai and local dishes. This is the Thai crispy pork leg which is to be dipped into Thai chilie sauce. 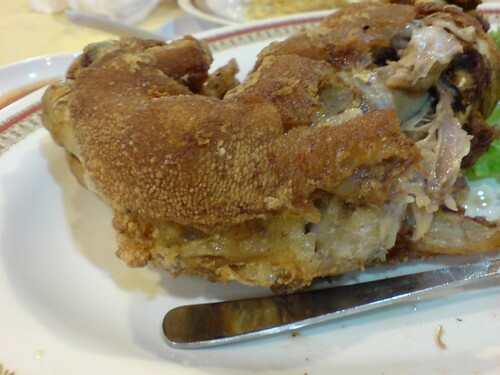 Not bad as they have made the pork leg very tender and the skin crispy. 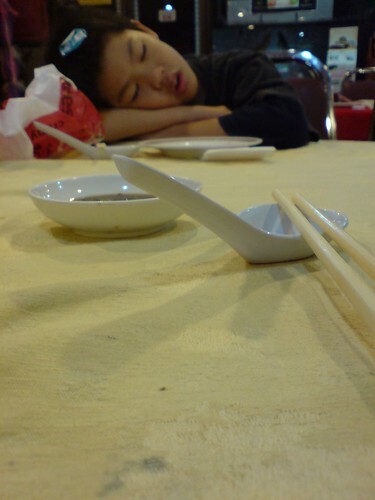 We had a very tiring trip from Langkawi back to Penang and did not have much appetite. Besides the above dishes, we also ordered the crispy noodle and Shanghai Pancake. 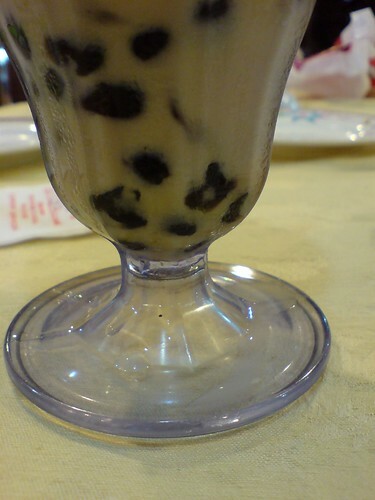 They served this milk tea like Taiwanese bubble tea. And to proof how tiring the trip was ……. Sungai Petani folks, if you know the location, do share please? timothy – Yeah, I agree with you. terence – What lah! Is that meant to be good or bad lah?